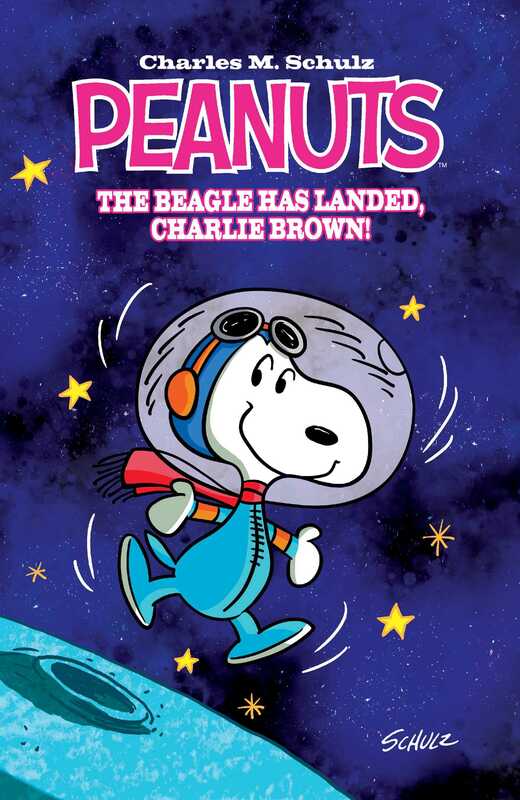 The Peanuts Gang is headed to outer space in an all-new original graphic novel! The Beagle Has Landed, Charlie Brown! Charlie Brown and the gang have got space on the brain and Snoopy leads the way as the World Famous Astronaut! While the kids play space, Snoopy has got troubles of his own with The Cat Next Door, who has taken Snoopy’s supper-dish! Will our favorite beagle get his dish back in time for dinner or will he have to travel to the moon on an empty stomach? Fire the rockets and see what happens in this all-new original graphic novel featuring Charles M. Schulz’s PEANUTS!